The Club was founded on 8th June 1893. 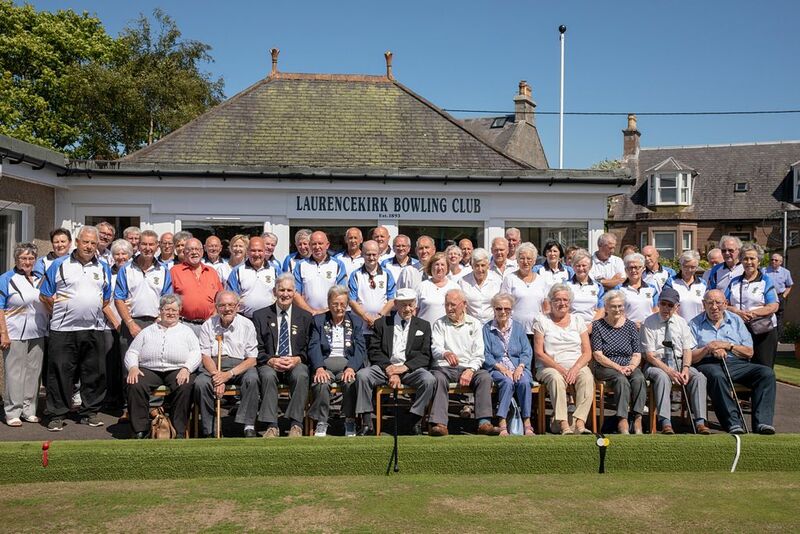 On Sunday 22nd July, a celebration day was held to commemorate this significant Anniversary, and a number of former members as well as current members were invited. The afternoon commenced with photographs of the assembled company followed by President Margaret McNicoll giving a short address and proposing a toast to the Club. Cutting of the Anniversary cake by the President, and serving of Prosecco and cake followed. There was an exhibition of old photos and press cuttings relating to the development of the Club, and this was of great interest to members old and new. Later, a number of members finished the afternoon with a “bounce” game of bowls. The afternoon was a great success, and was enjoyed by all. Pictured is the the whole company, with former members seated at the front.